Two convicts are locked in a cell. There is an unbarred window high up in the cell. No matter if they stand on the bed or one on top of the other they can't reach the window to escape. They then decide to tunnel out. However, they give up with the tunneling because it will take too long. Finally one of the convicts figures out how to escape from the cell. His plan is to dig the tunnel and pile up the dirt to climb up to the window to escape. 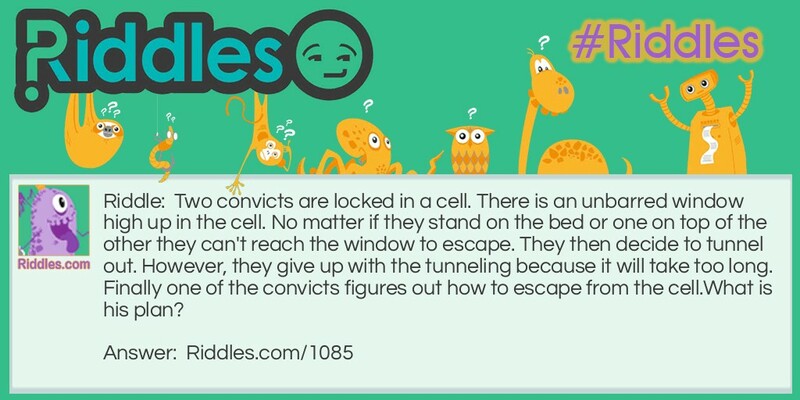 Cell breakout Riddle Meme with riddle and answer page link.